It was a clunky first thirty days of the year. I didn’t go back to work until January 4th, then there was the annual snow apocalypse when everything closes and no one goes out of their homes because it’s so cold. I’ve sensed the nudge for some time now. I’ve ignored it and gone on, business as usual. I felt the nudge again. Acknowledged it, but I didn’t move. For some time now, God has been calling me to spend more time with him, to read, and to be in the Word, so much so, that it takes root deep within my heart. I’ve been slow to answer the call. So slow, that I’m frustrated with myself. Does that ever happen to you? Needless to say, I’ve decided not to beat myself up about it. If I get up early to study and pray, then so be it. God knows me. He knows my heart. And he knows yours too. So I’m on the path to spend the first moments of my day in stillness, to pray, read, and to listen. As the month went on, my heart began to examine the meaning of love, of real, authentic love. Not the kind of that comes with butterflies, sweet text messages, and deliveries to the office. I’m talking about the kind of love you find once in a lifetime, the true blue, the till death do us part kind of love. The biggest lesson I learned in January is that love is a choice. This truth rained down on me like the fiercest of rain storms. Feelings are finicky, they come and go and romance can really only go so far. Real love is deeper than that and really, it’s not very complicated at all. It’s a choice you’re faced with every day, to see the best in someone. It’s a knowing that they truly have your back. It’s looking beyond the annoyances and the blemishes. It’s a deep abiding trust that knows no bounds. True love has a backbone. It stands up when no one else does. Love fights for what’s right and it fights for you. But it doesn’t just happen. You choose it. Moment by moment. In love, you choose grace instead of a grudge. You look long term and pursue with heart and you never give up. When you find true love, you hold it dear and cherish it. You nurture it, you protect it and you realize that it is the greatest gift you may receive. 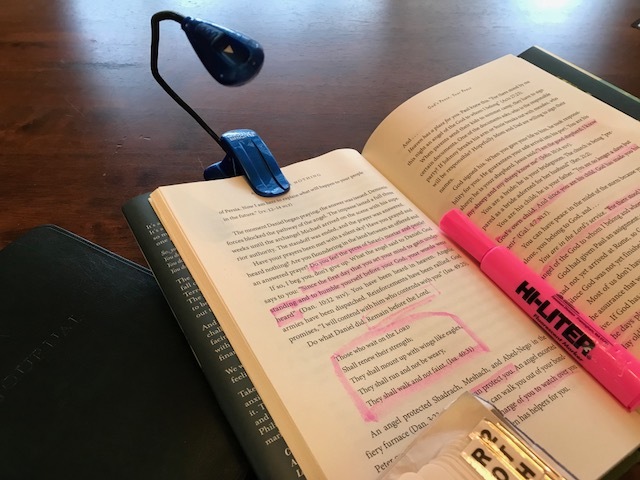 This cool book clip light. I can read in bed with the light off while the puppy sleeps! Failed relationships of the past. I’m letting go of the hope that they’ll ever exist in the way I once knew them, if at all. I’m letting go of these people and moving on. A healthy eating plan, meaning meal prep on Sundays. This is very new for me, the whole prep thing. Out with sugar sweet cereal, yes I’m giving up my favorite Life Cereal. 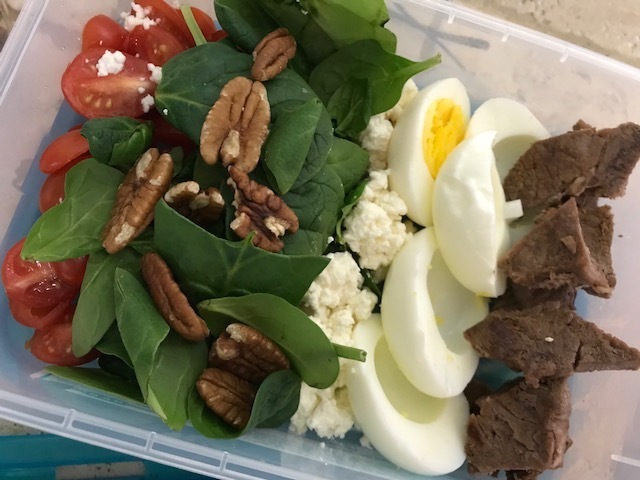 I’m talking high protein and low carbs, oh my!